CCW Breakaways LLC will posts links to other businesses, organizations and individuals where we have established solid, reputable and reliable relationships. The organizations and individuals listed here, have charters, missions and values that are similar to ours. We are like-minded and share common goals for our families and for our country. If you are one of our faithful customers and you like CCW Breakaways' products and services, then you know that we operate with integrity and we only endorse others that share the same principles. We endorse the following below. Starting a business in today's world has to be one of the hardest tasks we've ever undertaken. Along the way, we have met a lot of nice folks, but the people behind FMG Publications (American Handgunner, American Cop, Shooting Industry, Guns, & Others) helped kick-start us by running product announcements and writing product reviews in their magazine. They are genuine guns folks. We are members of the US Concealed Carry Association. This is a great source to go to keep yourself current on CCW firearms, equipment, gear and tactics. Their magazine, Concealed Carry, has written product reviews about CCW Breakaways several times. We are life members of the NRA. We exhibited at the NRA Annual Meetings in 2010, 2011, 2012 and 2013. We have learned to get to know the folks at the NRA and CCW Breakaways appreciates the services that they provide while standing up for our Second Amendment rights. Jay and Georgann French are certified NRA Instructors. We are members of the NSSF and we exhibited at the SHOT Show in 2010. The NSSF is also a great advocate for the Second Amendment and the firearms industry. The NSSF provides us with market data to help shape the future of our company. The Cornered Cat website is owned by Kathy Jackson. We've had the opportunity learn more about Kathy over the years and we love what she does for women and self-defense. Ladies, buy her book! Visit her site. Kathy also is the former editor of USCCA's magazine titled Concealed Carry. We are members of the ACLDN. This organization is full of knowledge and wisdom. They provide education to lawfully armed citizens regarding CCW rights and responsibilities. They are also commited to provide legal aid and assist network members who have had to use deadly force. We distribute their booklet titled What Every Gun Owner Needs to Know About Self-Defense Law when you place an order with us. 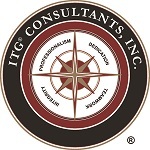 ITG Consultants is a veteran owned small business that provides training, consulting and protective services in the field of dignitary and executive protection. Their International Training Group™ provides state of the art training in this field with over 250 hours of professional development programs and the ability to tailor training programs to client needs and deliver it via mobile training team events.